THE B-MOVIE NEWS VAULT: STOCK YOUR VAULT: New DVDs & Blu-rays for 04/03/2018! STOCK YOUR VAULT: New DVDs & Blu-rays for 04/03/2018! April is starting off quite slow for us collectors of physical media. This week is largely filled with direct-to-DVD titles, as well as a number of bargain-priced boxed sets, so don't feel guilty about saving your money this week Vault Dwellers! That being said, there just may be a few titles of interest for some of you. INSIDIOUS: THE LAST KEY, the fourth entry in the continuing INSIDIOUS franchise, is now available on DVD & Blu-ray, Funimation brings the live-action TOKYO GHOUL film to the U.S. in a new DVD/Blu-ray combo pack, and Mill Creek tries to squeeze more money out of us by throwing six films together into their "new" 80'S OVERDRIVE COLLECTION! And for you Jess Franco fans, Severin Films just released THE SADIST OF NOTRE DAME and SINFONIA EROTICA to DVD and Blu-ray! Both should be a real treat for those of you that enjoy EuroSleaze cinema! 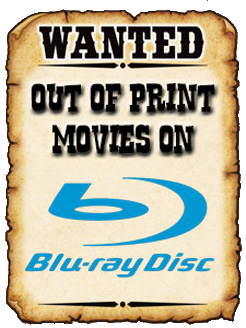 There's not much else worth highlighting today, so scroll on down to see the full list of this week's new DVD & Blu-ray releases! Contains: The Legend of Billie Jean, Little Nikita, Hardbodies, Spring Break, Perfect, and Private Resort. Contains: The Valachi Papers, The Stone Killer, Breakout, and Hard Times. 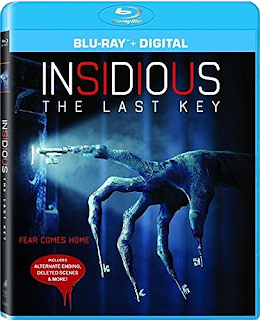 Contains: Insidious, Insidious: Chapter 2, Insidious: Chapter 3, and Insidious: The Last Key. Contains: I Know What You Did Last Summer, When A Stranger Calls, The Cave, Vacancy, Wind Chill, Devour, Insanitarium, The Plague, Vinyan, The Corpse Vanishes, Night Fright, Dr. Jekyll & Mr. Hyde, Tales of Frankenstein, Lights Out: The Passage Beyond, Killers from Space, and more!